Hobart was the first pitstop on our Tassie (short for Tasmanian for those non-Aussies out there) road trip and we kicked things off with a seafood dinner. 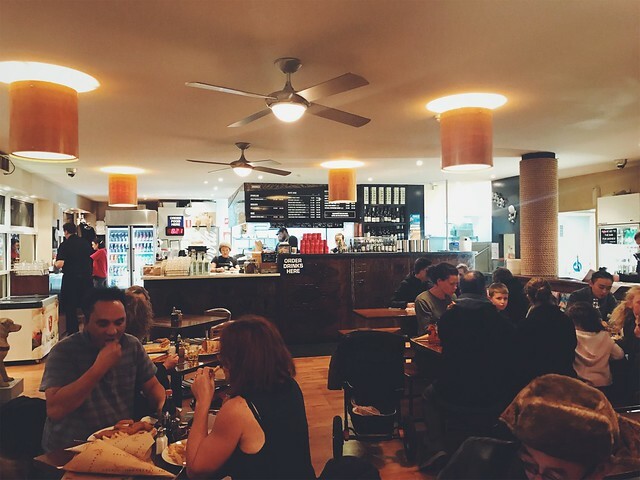 The restaurant of choice was Fish Frenzy, located in an old warehouse along Hobart’s waterfront. I have actually been to this restaurant more than 10 years ago and from memory the food was amazing. But then, it was the first meal I had after a week of camping in the bush eating tinned food so probably anything and everything tasted amazing. The restaurant is casual with an option to take away. There are tables outside with fine views of the harbour, especially nice on a summer evening. Unfortunately it was winter when we were there and it was tad chilly so we opted for indoor seating. 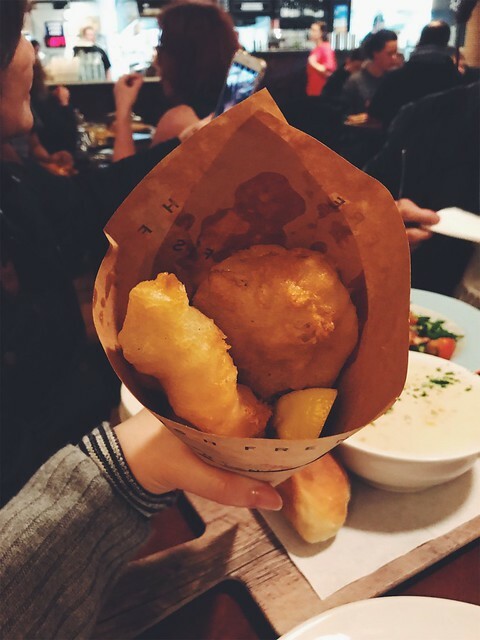 The fish and chips were superb – we chose the trevalla in a beer batter. The fish was sweet and succulent and the beer batter was light and airy. The chips were thick-cut, crispy on the outside and fluffy on the inside. 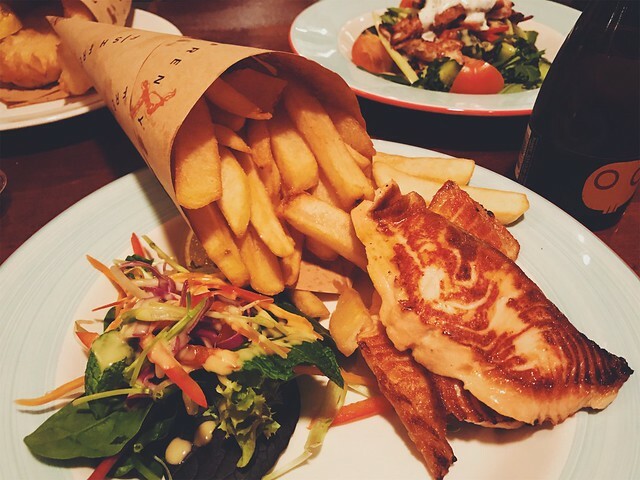 Since Tasmania is famous for salmon, we ordered the grilled Tasmanian salmon which came with a side salad. The salmon was fresh and it tasted good but there was nothing special about it. 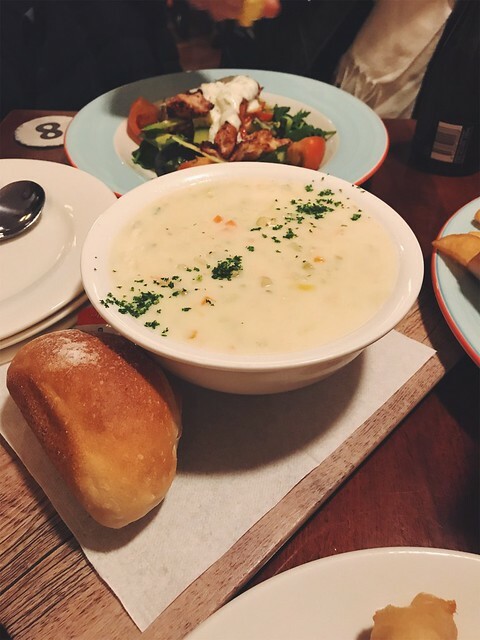 The smokey fish chowder was creamy and chock-a-block loaded with seafood and veggies. It was a little bland for my taste though. The warm octopus salad made up for the bland chowder. 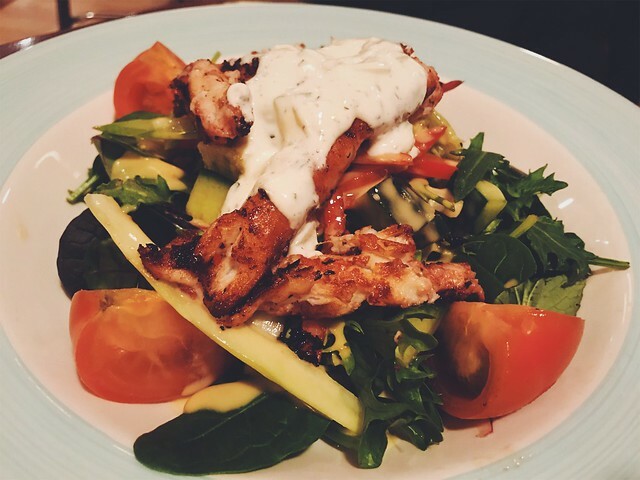 The octopus was fresh and tender and the dressing packed a punch on the flavour front. Try it next time you’re in the area! Wow the food looks incredible, I’m desperate for fish’n chips now! 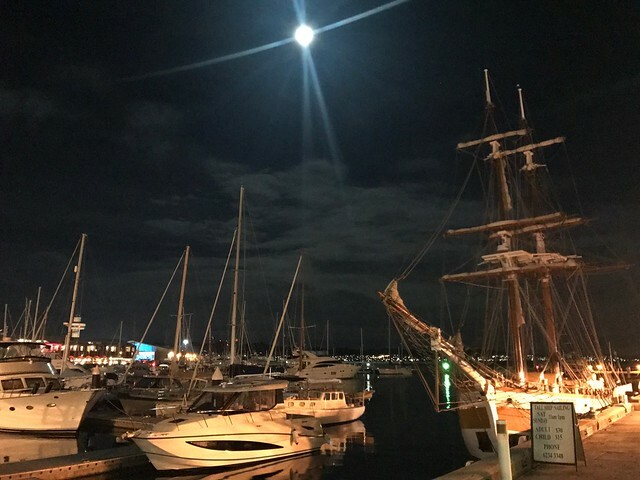 Loved Hobart and visiting all of Tasmania, it’s a unique place with lovely friendly people. And of course lots of great places to eat. Did you try Fish Frenzy too? Yep, Tasmania has such variety of great food and I wished I could have stayed longer! Didn’t get to try Fish Frenzy unfortunately. Saw a fair bit of Tasmania as we were there for a couple of weeks.